Something that is a lot of fun and done with frequency here in Utah is sledding. As a youngster going over to the local elementary school (that had a huge hill) was quite a treat, we would take our plastic trash bags (ouch when you hit a bump) or sleds and climb up the hill plop on the vehicle of choice and down, we would go, screaming and giggling. This is one thing any family can take advantage of and really enjoy without putting out a lot of money. 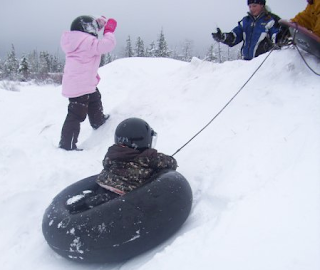 The plastic sleds are quite inexpensive and going sledding with the family will make memories that will last a lifetime. Sugarhouse Park in Salt Lake City – There are two entrances to the park off of 2100 south, one on 1400 east and the other on 1500 east. Enjoy our beautiful winters here and remember when visiting Utah come and stay with us at WFSA!